We all love our battery-powered gadgets, but portable power cells can be devastating to the environment. Fortunately, recent developments have proven that greener batteries are coming in the not-too-distant future. Engineers are replacing toxic components with less harmful materials ranging from leaves to sugar. Other innovations on the rise look to nature to help make batteries last longer, perform better and leave less of a trace once they've been discarded. This gold nanowire-based battery, for instance, was created by accident and could make lithium ion batteries obsolete, while this single-use battery dissolves in water when its job is done, making it easier to reuse its components. A team of University of Maryland researchers sought to develop an inexpensive material to serve as their batteries' negative terminal (anode). In the end, they found the perfect material right on campus. 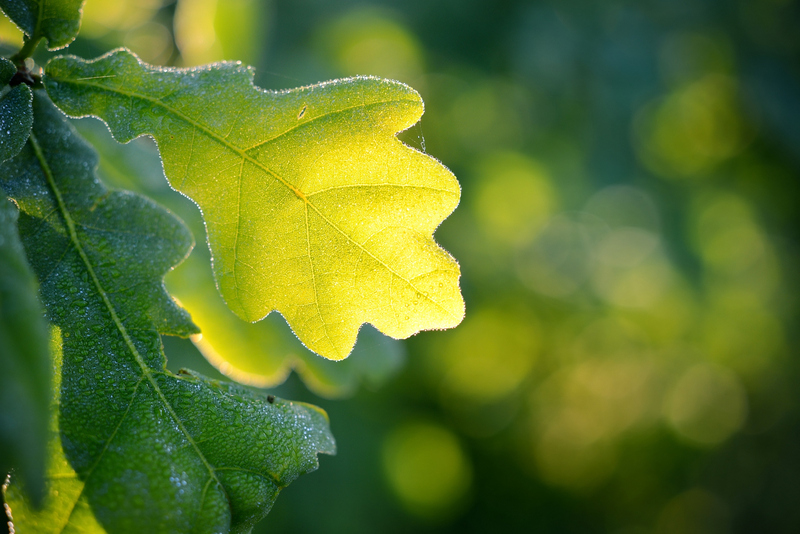 The team found that oak leaves could be heated to 1,000 degrees Celsius to destroy the existing carbon structures, and then introduced the electrolytes to the leaf's natural pores for absorption. The result is a plant-based anode that performs similarly to traditional battery components. Research is ongoing to test other natural materials, such as peat moss, banana peels and melon skins in search of the nature-based battery of the future. Scientists are working hard to create rechargeable batteries that can withstand more use. Australia's Swinburne University has created a new graphene-based battery that shows rapid charging abilities -- and it has enough durability to last virtually forever. 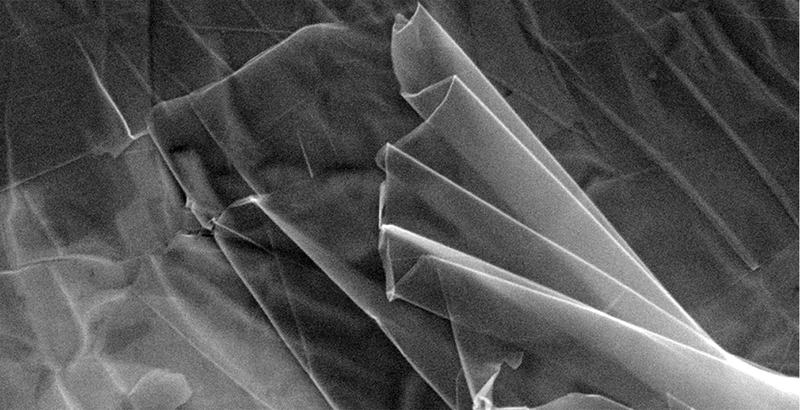 Super strong graphene replaces lithium in the battery's supercapacitor, addressing all of the shortcomings of that widely used material while also reducing the environmental impact of battery production. 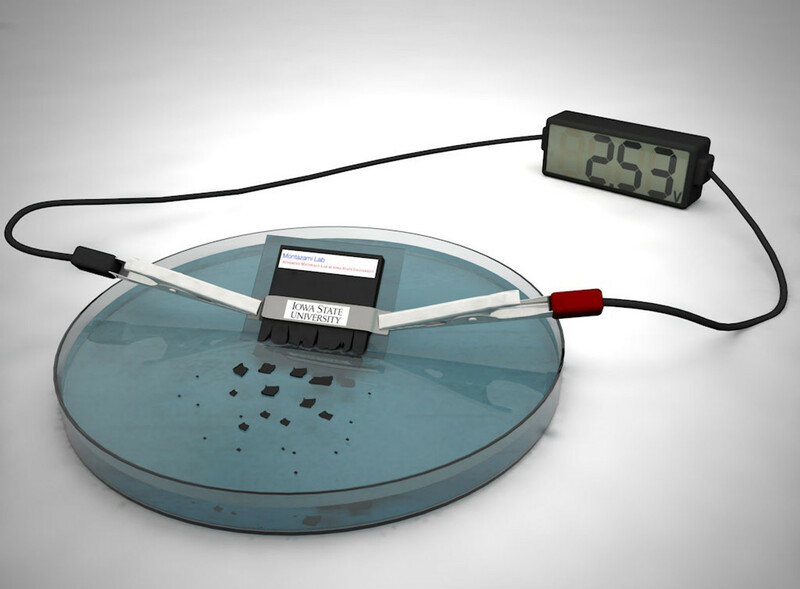 The graphene-based supercapacitor allows the new battery to charge to 100 percent power in just a few seconds, it can withstand many more recharging cycles and it also costs less to produce than traditional lithium-ion batteries. 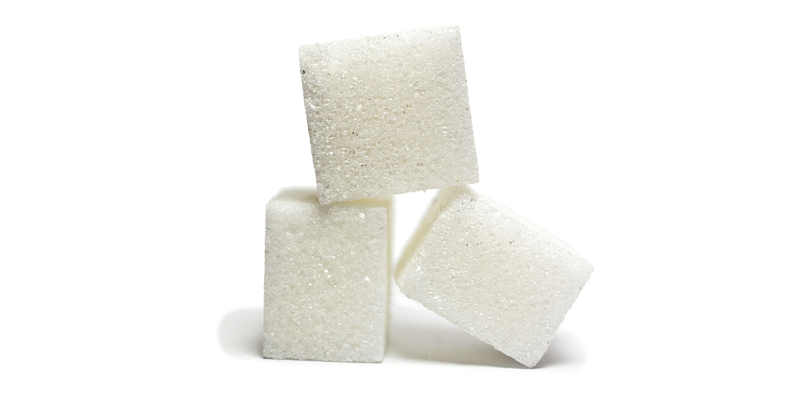 A Virginia Tech team developed a sugar battery that lasts longer than any previous sugar-based prototypes could. Maltodextrin, a polysaccharide made from the partial hydrolysis of starch, is isolated from natural sugar and then used as fuel. When combined with air, the battery releases electrons from the sugar solution to generate electricity. Sugar is cheap and abundant, so it makes for a battery that's not only affordable, but biodegradable as well. An accidental discovery by researchers at University of California, Irvine led to a technological breakthrough that could leave lithium-ion batteries in the dust. The team built a nanowire battery using gold and some new-fangled materials, and it can be recharged hundreds of thousands of times without slacking in the performance department like lithium-ion batteries are known to do over time. 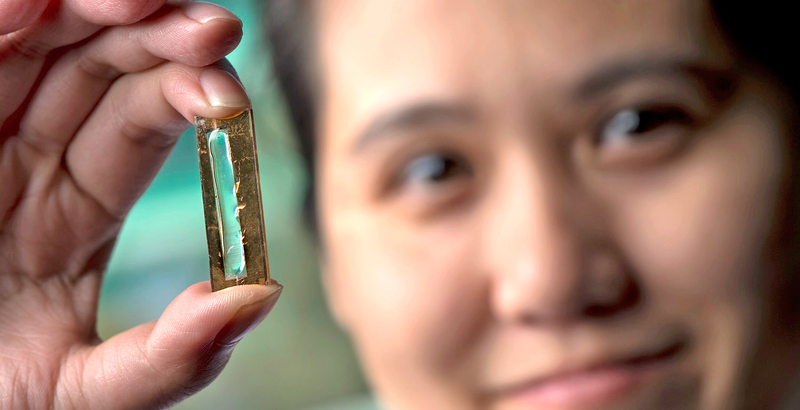 The battery consists of protected electrode nanowires made from a thin core of gold, surrounded by layers of manganese dioxide and a Plexiglas-like electrolyte gel. Although the team had initially been searching for innovations to increase the power capacity of batteries, they stumbled upon this method of building a battery that can last basically forever without showing any signs of wear. A self-destructing battery won't come in handy for everyone, but the development of this dissolving energy storage device is a key innovation for certain applications where single-use batteries are currently being left behind to pollute the surrounding environment. Created by a team at Iowa State University, this battery is designed to self-destruct when triggered by light, heat or liquid, so it's well suited for military applications and other so-called "transient" devices that require a power source for a finite amount of time. Certain medical devices and environmental sensors might fall into this category, and since the battery simply dissolves in water once it has served its purpose, its lasting impact on the environment is approximately nil. Although there's probably no need to eat a battery, you could chow down on parts of this one if you really felt compelled. In an attempt to demonstrate how natural and eco-friendly his company's new battery really is, Jay Whitacre at Aquion Energy has eaten parts of the saltwater-based battery, and lived to tell. The battery's components are comprised largely of naturally derived materials such as dirt, cotton, carbon and saltwater acting as an electrolyte solution. While hardly a delicious meal, the battery components demonstrate an ecological sensitivity not often found in the energy storage field. 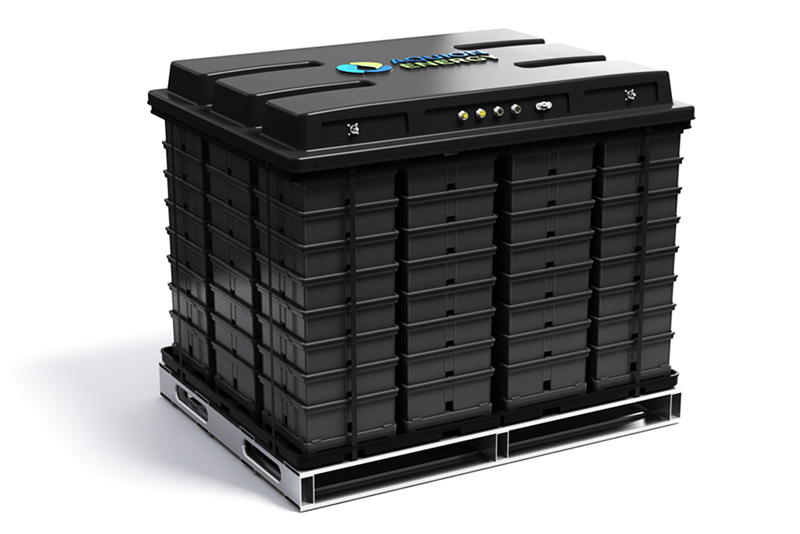 This battery is designed for large-scale jobs, such as providing backup power for a home or business equipped with a renewable energy source, such as wind or solar. It can also be charged up with off-peak grid power, to save money on energy use during peak times when prices are higher.